Let’s get one thing out of the way first: Jitters are part of this jumping-out-of-the-plane-thing. 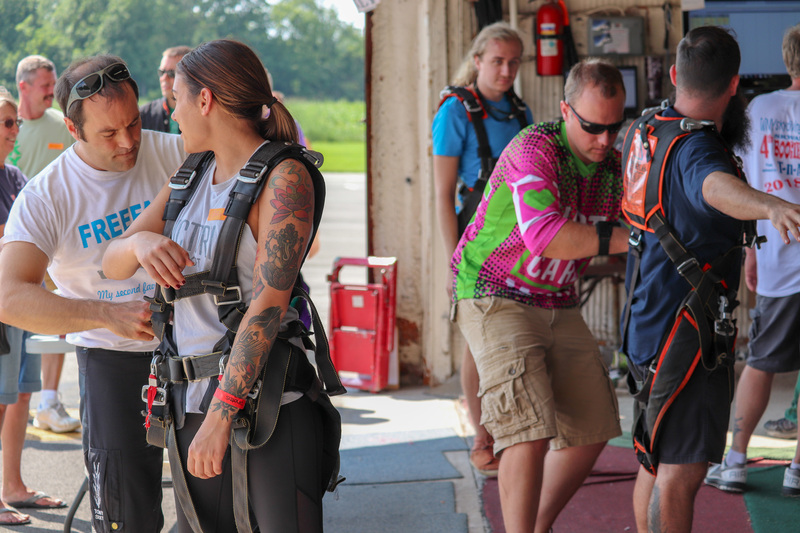 Being nervous about skydiving is absolutely to be expected when you’re anticipating your first tandem experience. Okay? Awesome. Now that we have the expectation of butterflies well set, let’s get into details to help you conquer the unpleasant aspects of those nerves – from the moment you book your jump up to the point when you exit that perfectly good airplane. You got this! When will your fear of skydiving first make itself known? Hint: Not when you’re arriving at the unfamiliar setting of a skydiving dropzone, miles from the daily life you know so well. Instead, it’ll probably pop up ironically when you’re tucked cozily away in the most comfortable place you know. You’re not alone here, dear reader. As a matter of fact, most first-time skydivers have trouble sleeping the night before they jump. You can expect to do some tossing and turning and imaginging-of-the-statistically-insignificant-worst. Totally normal. Here’s what to remember when you notice yourself starting to ruminate incessantly: the actual statistics are super clear on the fact that skydiving is way safer than driving. The math is on your side! Remember that millions of happy skydivers around the world have jumped out of planes hundreds — in many, many cases, thousands! — of times without incident. Simple fact: Skydiving wouldn’t be so popular if it were as dangerous as your sleepless self imagines. See? We love working with our skydiving gear. When you arrive for your day at the dropzone and start reading the waiver paperwork, that nervousness might return. After all, that waiver covers even the most statistically insignificant risks of the sport. From there, you’ll head over into your ground school, and your instructor will introduce you to your skydiving gear, which seems pretty complicated. If your butterflies are fluttering right about now, don’t be surprised! To combat that nervousness, here’s what to remember: Yes, skydiving is an activity that carries risk, but that’s why you’re here. You’re here for the challenge! Aside from that: It’ll very likely relax you to think about the fact that WNY Skydiving is a USPA member dropzone. That means we have pledged to maintain the very highest standards of safety, training and equipment maintenance. 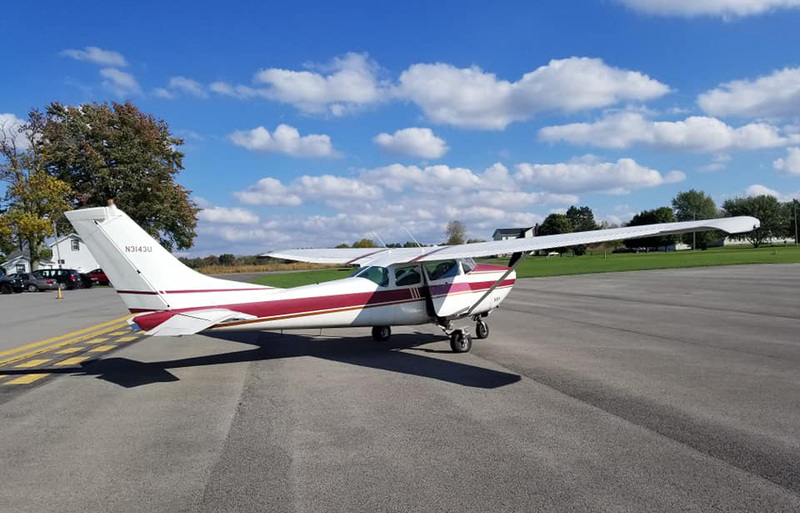 If this is the first time you’ve been in a small aircraft — or any aircraft at all where you’re expecting the door to open in midair — of course you’re nervous! Novelty is incredibly exciting. Most students report that their nervousness hits an epic peak when that door does, indeed, open, and that the peak keeps peaking as they move towards the edge to get set up for their exit. This is as real as real gets, y’all. If your “HECKYEAH!” has suddenly turned to “WAIT!,” you’re certainly not the first. In fact, you’re not even the only person on the plane who’s feeling it. You’re in plenty of excellent company. When the open door has you freaking out, here’s the best thing to do, by far: Breathe. Count to three in your head as you breathe deeply in, hold it for a moment, then count to three in your head as you empty your lungs. Watching your breath will help you stay connected to yourself so you can be fully present for your skydive, and enjoy it to the very fullest. The next thing you know, you’ll be on the ground, leaping around like a happy puppy and high-fiving everyone in sight. Your being nervous about skydiving will be part of the happy memories you’ll treasure for always — the pepper that makes the dish. So that brings us to our final advice for nervous skydivers: Enjoy the journey, butterflies and all!